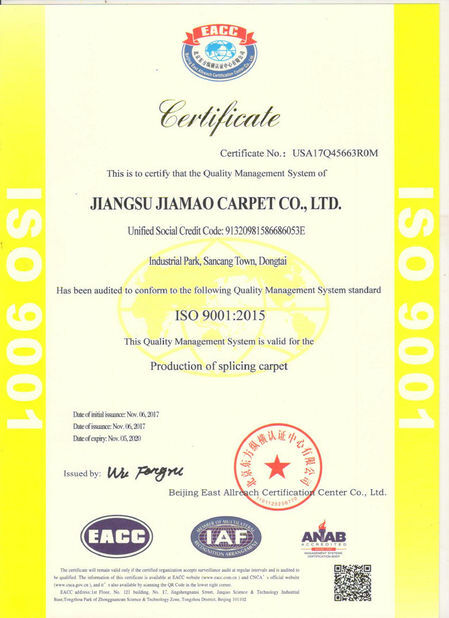 JiaMao carpet co., LTD., founded in 1989, The head office within the Asia Pacific plaza between ShangHai AnTing international Motown and jiangsu HuaQiao international business center , the production base is located in dongtai, jiangsu province. 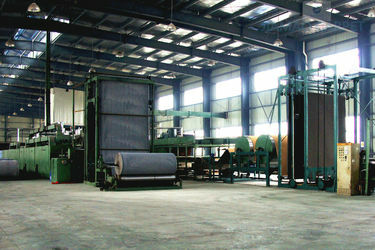 After more than 20 years of unremitting efforts, It has gone from tiny Company gradually developed into carpet production base of production and sales integration , services for the global well-known enterprise in commercial carpet tiles , The production of "XinAi" brand series of carpet was deeply loved by the users at home and abroad. Young and pragmatic new generation management team of JiaMao , It full of vitality and passion, confidence and dreams, Take the "honesty, quality first"as our tenet, Leading the enterprises continuous innovation and development , 20000 square meters factory to provide a good environment for the production of enterprises, ISO9001 standardization quality management system to has created brand position and high quality products, carpet quality all meet the industry standard for all over the world. 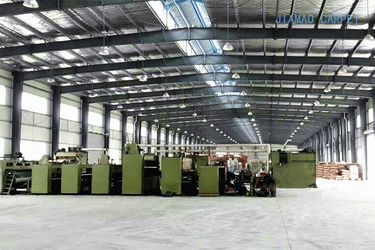 Our factory is equipped with many sets of computer jacquard tufting machine of international advanced, They can produce all popular pattern for carpet tiles in the current market, The annual production capacity of 3.5 million square meters. 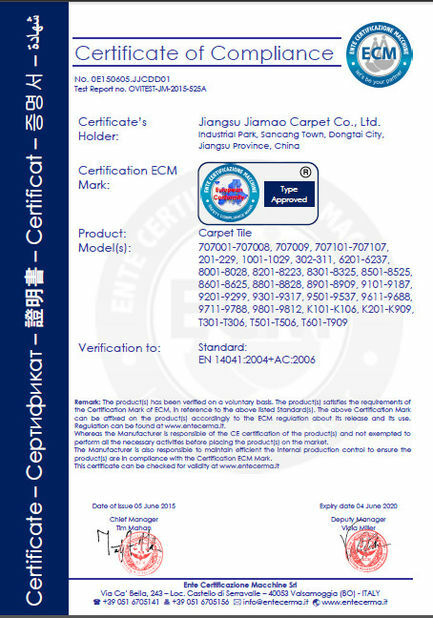 In 2012，We registered our own new brand “JIAMAO" and designed the beatiful shipping marks with all products' details on packing. In 2011-2018，we attended the DOMOTEX asia CHINAFLOOR in ShangHai. There are many sales divisions in major cities in china，all with enough products in stock.There are professionals in every division，offering direct service to meet all the requirements of our new and old customers.The foreign trade department offers all-around service to foreign clients. The products are exported to all over the world.Our company have yarn system,Warehouse with a lot of spare yarns.Futures product normal state ETD in one week.Integrity and satisfactory pre-sale，sells and after-sales service,Allows customers to purchases easily and conveniently.